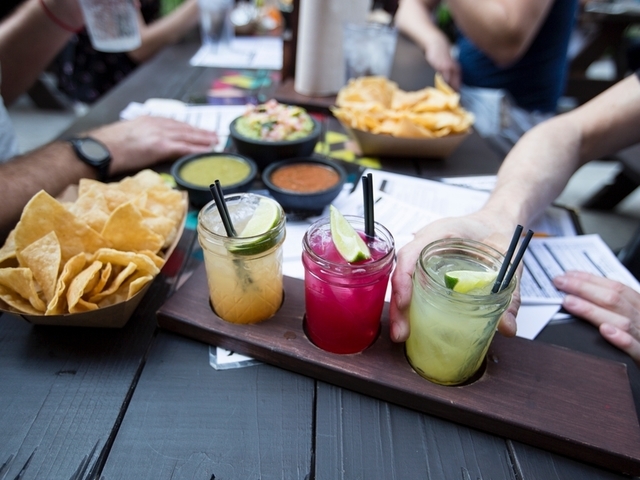 CINCINNATI – Get ready to enjoy tacos, tequila and margaritas at the Banks. Columbus-based Condado Tacos will host a grand opening celebration Thursday at its first Cincinnati location, at 195 E. Freedom Way, Downtown. The restaurant is located near Great American Ball Park. "We're glad to be right across from the ballpark," Kahn said when the location was first announced in March. "That's what drew us, the marquee location." Grand opening celebrations begin at 11 a.m. 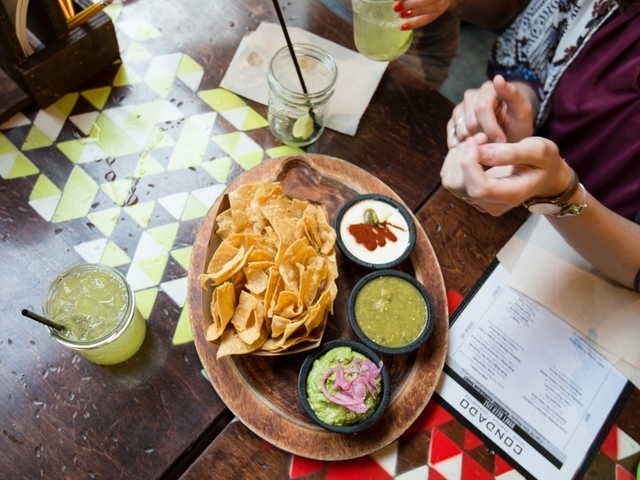 The joint will offer half price house-made margaritas as well as buy one get one free tacos. Condado Tacos first opened in 2014 in Columbus. The restaurant currently has four Columbus locations and another in Pittsburgh. Kahn said people can expect affordable food made with fresh ingredients when they visit the eatery at the Banks. "Back when this all started, I thought about a place I would like to go to two to three times a week," Kahn said. "I didn't want to go to a traditional Mexican restaurant. I just wanted to focus on one thing and do it really well. 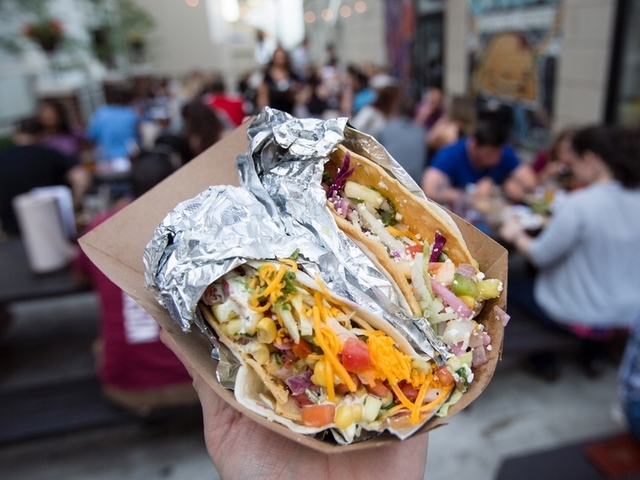 To me, tacos are the new sandwich." Condado's customers can build their own tacos by selecting toppings, proteins, shells, salsas, cheeses and sauces from a Scantron-style menu. Protein options include chorizo, roasted pollo (chicken), ghost pepper-marinated steak, braised beef brisket, shrimp ceviche and pulled pork, along with vegetarian options such as jackfruit and roasted portobello mushrooms. Tacos cost between $3.50-$4.50. "We'll be naming a few tacos and other unique menu items in honor of Cincinnati baseball," Kahn said. The food menu also includes chips, salsa, queso, guacamole and weekend brunch items, and Kahn said ingredients are made fresh on site each day. Condado's drink menu includes margaritas, cocktails, wines and sangria. The margaritas are available by the glass or pitcher. Condado's decor at the Banks will include artwork similar to that found in other Condado locations, Kahn said. "Our artists work really hard on each location," he said. Hours will be 11 a.m.-2 a.m Monday through Sunday, with happy hour from 4-7 p.m.